It's About Time: VOTE Wisely! The 2010 Elections is happening in 6 days! While I really haven't made up my mind on which candidate to support, I know that no matter that, I have to make my vote count and that I shall vote wisely. Life was easier back then, when business was in full swing, when the peso-dollar rate is pretty close to one another, when there were more peace and security, when everyone respected our government officials. Let us bring those days back. I wish for my future kids to experience the same carefree life that my parents were able to give me. Let corruption and violence stop NOW. Come election time, this is also the height of bloodshed, violence and all the horrible things that bring chill up my spine as I watch the news. I can never forget the sight of the Maguindanao massacre where close to three dozen innocent journalists were brutally killed. This single incident caused a huge chain of effects to their loved ones as well. My heart goes out to their young children, their widowed spouses and to their elderly parents. I came upon this website that is calling out to stop electoral violence. 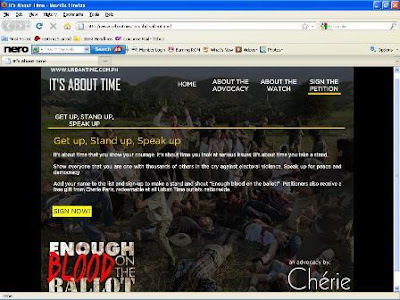 It's About Time is their battle cry and they are just asking us to do one thing -- to sign their petition as a sign of support to their advocacy. Come May 10, I will ____________________ because it's about time ___________________. Kindly include your name/nickname and your complete email address for me to be able to contact your right away. I will be announcing the lucky winner on May 11, 2010. Let's take a stand and vote wisely. Come May 10, I will vote someone who is right and just not because he is the popular choice because it's about time we vote someone who is not a trapo and will lead the country to the right way of thinking and living. Come May 10, I will wake up early, commute to my precinct and vote according to my conscience because it's about time to seriously think of the future of our children by choosing the kind of leader who considers/has the interests of the people and the nation at heart above his own personal interests. Come May 10, I will use my mind and heart in choosing the candidate who I believe is perfect for the position because it's about time my voice has to be heard through my vote, for myself, for my family and for my country. Come may 10, I will exercise my right to vote and vote for the candidate whom I know can make a difference in this country because it's about time we make a stand to help build our nation back to life. Come May 10, I will become an accountable citizen of my country by voting because it's about time I stop being apathetic because our country can will only continue to go down the drain if we keep on holding on to a "bahala na" and one-vote-won't-make-a-difference attitude. Come May 10, I will be a TRUE Filipino. A Filipino who knows how to fight for his rights and mature enough to face responsibilities to his self, to his community, to his country and to his God. Because it's about time to open not just our mind and not just our hearts but our whole mind, body and soul to embody the TRUE and REAL meaning of being a Filipino. Come May 10, welcome all voters,think twice before you vote, it's about time to stop corruption and violence.Let's pray together for a peaceful election. Come May 10, i will be a part in changing the course of Philippine history through my vote because its about time that i take responsibility for our country's future. Come may 10, I will open my eyes and ear to know the truth, I will vote using my head and my heart to choose the right candidate because it's about time that we must take our stand for our country. Come May 10, I will vote for someone who is not pretending to be for the poor people but will vote for someone who have the dedication and skills of a great leader because it's about time that the country needs a big change. --Come May 10, I will vote for the person whom I believe is capable even if he only has a small chance of winning. --because its about time to vote according to your conscience and not for convenience (of voting other to avoid someone from winning). Come May 10,and I will make a difference to this world, because it's about time that someone make a move for a better world. Come May 10, I will vote for the BEST candidate for me and not just rely on the saying "vote for the lesser evil". My decision will not be moved by surveys and popularity, I will vote for the one who I believe is the most capable and dignified. add ko sa site ko thanks!! Come May 10, I will be owning the elections and will be guarding my vote against those who have ill motives because it's about time to choose the legislators and public officials wisely, who will priotize the Filipinos' needs over their own personal interests. In so doing, this nation will finally rise from poverty and will soon be great again! Come May 10, I will take responsibility to our country and vote not the most influential, not the most popular candidate but a person who believes in our unique abilities as Filipinos, a person who is experienced, a person who has values and can unite us into one because it’s about time to for me to do my part. Come May 10, I will vote for who I believe can put a stop to the trend of making politics a "business" and I will also pursuade everyone I know to vote for him even if statistics and surveys say that he has no chance of winning because it's about time for us to give our children a better future. Come May 10, I will vote for who I want and not who my parents want because it's about time we make our own decision and not follow what the majority likes or wants. Come May 10, I will make sure that the names I will shade in the ballot are the names of the leaders who will finally serve the best interest of this nation and not their own because it's about time we apply the lessons we learned from our previous leaders and their administration and be more stringent as to their qualifications, intentions and plans for the administration of the government so that we will not be able to commit the same mistakes again. It is also about time to reflect and open our eyes to the reality that we deserve better leaders and for us never to be mislead again by empty promises of economic progress, stopping corruption and ending poverty. The right to vote should never be taken for granted because this empowers us to change the fate of our own lives and our country. All it takes is a shade in the ballot. because it's about time to make a change and vote wisely. Come May 10, I will protect my vote, be observant and will any report electoral fraud cases because it's about time stop vote-rigging and ensure an uncontestable election outcome. Come May 10, I ought to vote with a positive aura and a clear mind. My eyes shall be open and my mind alert because it's about time to be involved, to make a change and to make a stand. because it's about time we stop counting on only the government for our future. It's not just about who will win, but what we will do together with who will win that will matter. Come May 10, I will make my voice be heard. Small though it may be, because I believe it's about time I stop merely saying that I'm a Filipino but act like the tough, proud, culturally and historically-rich countryman and truly deserving of a great nation with outstanding leaders' citizen that I am. Come May 10, I will, with all my strength, help make 2010 election a clean one by volunteering because it's about time that our future generations to come live a better life. Come May 10, I will let my voice be heard and be counted. Because it's about time to make a change, a change for the better. for the sake of our nation and our children. Come May 10 I will pray not only for myself but for all the voters in and out of the country for guidance in selecting the BEST leaders for the Philippines because it's about time that we install leaders who will make a change for a better life for all filipinos. Come May 10, I will vote the "right" person because it's about time to be a catalyst for change! 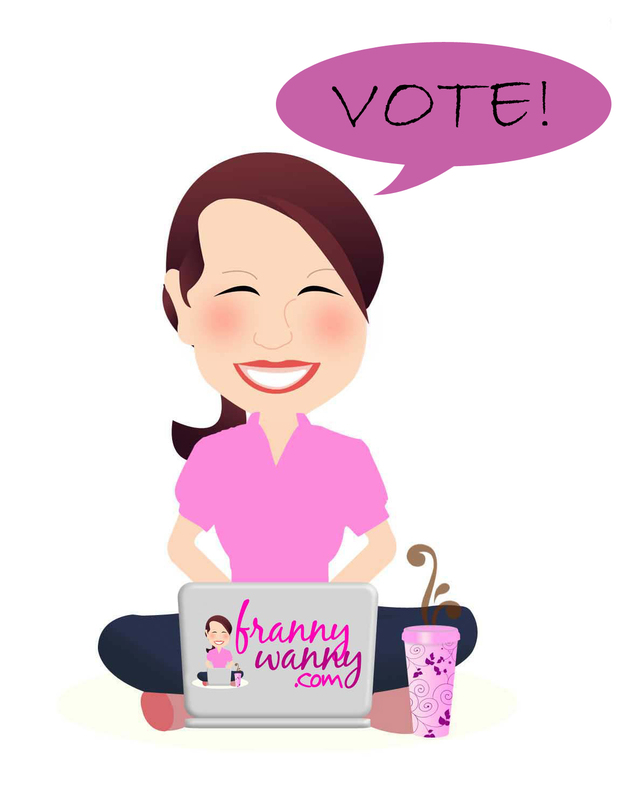 Remember every vote makes a difference! Come May 10, I will do my part in selecting the right leaders for my country and my city by choosing those who abide by truth, justice and freedom because it's about time that we prioritize our nation and the greater good over our selfish intents. Come May 10, I will be a VIGILANT and responsible VOTER because it's about time our Country needs GOOD and Efficient Leaders . Come May 10, I will become a true Pinoy because it's about time to take a stand and vote for the future for the people I love. Come May 10, I will fully exercise my right to vote. I will be using my mind and heart that I may pick the right candidate who will bring good change to our nation, the one who can reduce if not eliminate all the evils in the government and the one who can bring about prosperity and peace for the whole Philippines - LUZON, VISAYAS, MINDANAO. I will not waste my vote because I know that in my hands is the future of our nation.I will be a wise voter because it's about time that we will make a big difference, a big change. It is about time that we contribute our part in making the Philippines a better place. This is for the common good of all Filipinos, my brothers and sisters. Come May 10, I will pray that my mother and father may vote wisely and may pick the right candidates to lead the country in peace and progress for the benefit of all Filipinos. I may not be able to vote but I promise to guard to the best of my abilities the votes of the people and the sacredness of voting. I will not let myself be fooled by whatever unreachable promises. I will do all of these because it's about time that I must share my little contribution to make a BIG difference to all the lives of Filipinos. Come May 10, I will go out to vote wisely inspired by my children & their children's children because it's about time to make better things happen to this country. Come MAY 10, I will join & have my vote count. I'll observe others from their wrong doing and be an eye for a clean election because its about time to have a good leader who will lead us to a big change. So Filipino's vote wisely. Come May 10, I will JOIN THE ENTIRE NATION IN VOTING MY PUBLIC SERVANTS WISELY because it's about time THAT WE AS FILIPINOS SHOULD PUT DIGNITY TO THIS RIGHT. Come May 10, I will vote for the candidates my conscience tells me to vote. It's about time that my beloved Philippines heal its wounds and start its march to progress. Come May 10, I will one of the much proud filipinos that will vote and will respect each other opinions and views (as long as it is good for the country) because it's about time we filipino's teach this virtue to our children, for they are the future. Come May 10, I will do my very best to keep a keen eye on the votes so that failure of elections can't happen because it's about time for the Philippines to have a clean election since the election counting will be automated so that the country can move forward and for the first time in Philippine Election history candidates must accept defeat and they cannot mock about being cheated! Come May 10, I will go early to my precint & Vote wisely because it about time to elect who is deserved responsible, with conscience & have fear to GOD in order to have BETTER country. Come May 10, I will do my solemn duty-- TO VOTE THE RIGHTEOUS CANDIDATES because it's about time to counteract our country's corrupt and ill administration. Come May 10, I will choose the right leaders for the country, leaders who are proud of what the Philippines is and can be, because it's about time that we give the country the leaders it deserves. Come May 10 i will be more vigilant to have an honest and peaceful elections,its about time to have a leader that is sincere and has a political will to uplift our dignity as a nation. Come May 10, I will vote and hope that each and every Filipino would realize to act and think as WE and not as I because it's about time for us to realize that the Government can't be the center of our lives.We need self-help and not learned helplessness. ome may 10, i will vote wisely by voting the most qualified candidate who will lead our country because its about time to get rid of GMA. i'm so sick and tired of her. imagine leading the country for 10 years and still nothing has changed. i want change and the Time is now. Come May 10, I will come out and vote the right candidate because it's about time to start a new beginning for a new Philippines. Come May 10, I will be continuing the legacy of our forefathers who died for our nation. I have done my research and hopefully I will be making an informed and educated vote because it's about time we make the Philippines into truly a Bayang Magiliw and Perlas ng Silanganan. Come May 10, I will pray, decide, vote, report and be vigilant about my vote because it's about time to be part of the positive change and be part of really building the country. woweeee!! thank you so much for your inspiring comments! :) I am now excited to head out to my assigned precinct to vote to the candidates whom i truly believe in. happy voting everyone! God bless the Philippines! COME MAY 10, I will not let my ONE VOTE to be wasted; together with the votes of my family, friends and each and every voting Filipino, we will elect the right leaders who will truly serve and guide our country BECAUSE IT'S ABOUT TIME that the whole world will now that THE PHILIPPINES IS NOT A NATION OF CORRUPTION AND VIOLENCE but WE ARE A NATION WITH FULL HOPE AND POTENTIAL OF BECOMING ONE OF THE STRONGEST ASIAN COUNTRIES once again. Come May 10, I will break the barriers of peer pressure in our local political scene because it's about time I stand for what I believe, vote for who I believe in, and there's nothing anyone can do about it (or even buy me out of it!). Exercise your right to suffrage! thank you for all your comments! I'm formally closing this contest :) Will be posting the winner SOON! Come May 10, I will help on the elections even though I am not a voter because it's about time for the youth, voter or not, to play their roles. Come May 10, I will be part of another new chapter in Juan Dela Cruz life! JUAN have the right to vote and for 24 hours every 6 years we are ALL EQUAL! Because it's about time not to make poor Juan dela Cruz even poorer instead.The way we see it, our vote is our voice, and we choose to join the chorus of voices clamoring for change. It doesn't matter that whoever hears our shout will not discern our voice from the many others. What matters is that we are part of history, and that makes it worth the time and effort. It's time to wake up! I forgot to include my email add. Come May 10, I will I will vote the ones who will make a good change because it's about time renew. 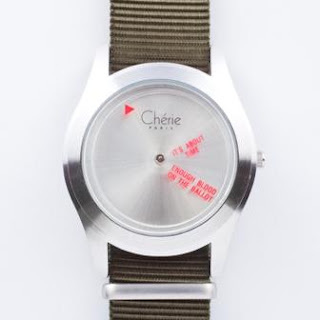 CONGRATULATIONS to Vivian for winning the limited edition Cherie Paris watch!! !